Mexico is the world’s largest producer of avocados. In 2010, Mexico produced 1.8 million tons of avocados, which were exported primarily to the United States, Japan, Canada and Europe, according to Mexico’s Secretariat of the Economy. Michoacan alone produces about 80 percent of the world’s avocados, and produces about 95 percent of Mexico’s avocados. Christian Cortes Rojo a researcher with the University of Michoacan in San Nicolas Hidalgo, says there’s more to the avocado than its flavour, texture and known health benefits. Mitochondria are the organelles within cells which generate energy for cell growth, and convert the energy from food molecules into adesonine triphoshate, which powers most cell functions including cell division. But mitochondria contain oxygen molecules that can be transformed into unstable molecules called “free radicals” after exposure to a number of environmental factors, including cigarette smoke, radiation and pollution. The free radicals can in turn, transform the neighbouring molecules that form cells into free radicals too, thereby damaging cell function. Cortes Rojo and his team experimented with yeast cells, like those used in wine and beer production, to examine avocado oil’s properties. He says yeast cells are simpler to study than other biological models but yield results than can be applied to other cells. “The most important discovery so far is that avocado oil augments mitochondrial function of yeast cells during the reduction-oxidative period. This is important because avocado oil might be able to – in complex animals such as humans – have the same effect. In that case of illnesses in which the mitochondria is damaged, avocado oil could help organs withstand or be more resistant to oxidative stresses,” he said. Those oxidative stresses are associated with a range of diseases. Cortes Rojo says further experiments on animal models – rats in this case – could lead to new methods of prevention using the properties of avocado oil. “We have planned to conduct these studies, and are already conducting them, to look into diabetes and hypertension. Those are diseases in which oxidative stresses clearly exist at a mitochondrial level, and that results in damage to cell functions,” Rojo added. Other mitochondrial diseases include Leigh’s disease, a neurometabolic disorder and Leber’s hereditary optic neuropathy, which can cause vision loss. “What’s missing is the diffusion of this information about the properties of the oil. With scientific backing, this could be beneficial to the consumer in that they will know that they are really consuming a product that benefits their health. It’s not just for salads. It can be used for cooking like any other oil,” she said. Avocados are known as “green gold” in some parts of Michoacan because of the fortune they represent to the local economy. The price of a liter of avocado oil is approximately 100 pesos ($7.15), which is comparable to the price of olive oil. Parents of the Nigerian man who has just been sentenced to life impronment for attempting to bomb and American airline on December 25, 2009 has asked the United States justice system to review the sentence handed down to their son. “We also appeal to the Federal Republic of Nigeria to… engage with the American government to ensure that a review is made to show justice in accordance with the circumstances of Umar Farouk’s case,” the statement further said. A judge in the US state of Michigan on Thursday condemned Abdulmutallab, 25, to four consecutive life sentences for his botched attempt to blow up the Detroit-bound airliner and kill the 289 people on board. 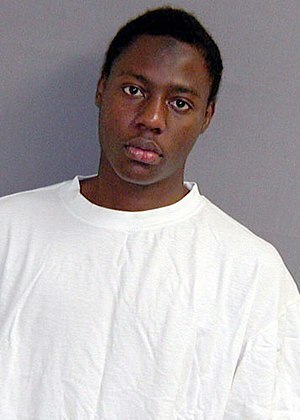 In court, Abdulmutallab declared he was “proud to kill in the name of God” as he defended his actions, seen as a part of an Al-Qaeda plot. The family said they learned of the “unfortunate news” of the attempted bombings on December 26, 2009. “It was with tremendous shock that we discovered our son, Umar Farouk, was allegedly involved,” the statement said. “This was so because even though he had gone missing by that time and there were concerns about his situation, he was nevertheless the last person anyone who knew him would link to such actions. “We are grateful to God that the unfortunate incident of that date did not result in any injury or death. We pray for a more peaceful world,” the statement also said.